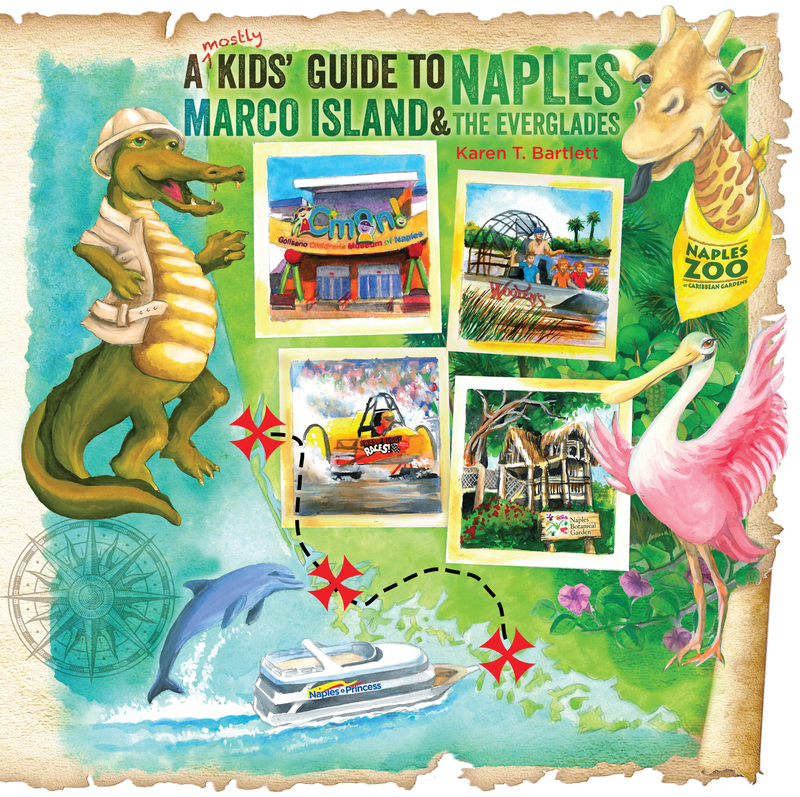 A (Mostly) Kids’ Guide to Naples, Marco Island & The Everglades, by Karen T. Bartlett. Mostly Kids’ Guides LLC. 80 pages. $18.95. There’s nothing square about this 8 X 8 inch high-energy book. It’s the hip answer to youngsters who visit Naples and say, “I’m bored. What are we going to do?” The book features snappy page design, a full color palette, lively text, plus attractive photographs and other illustrations. Mostly, it just explodes with delicious information about this corner of Southwest Florida with a focus on children’s activities. 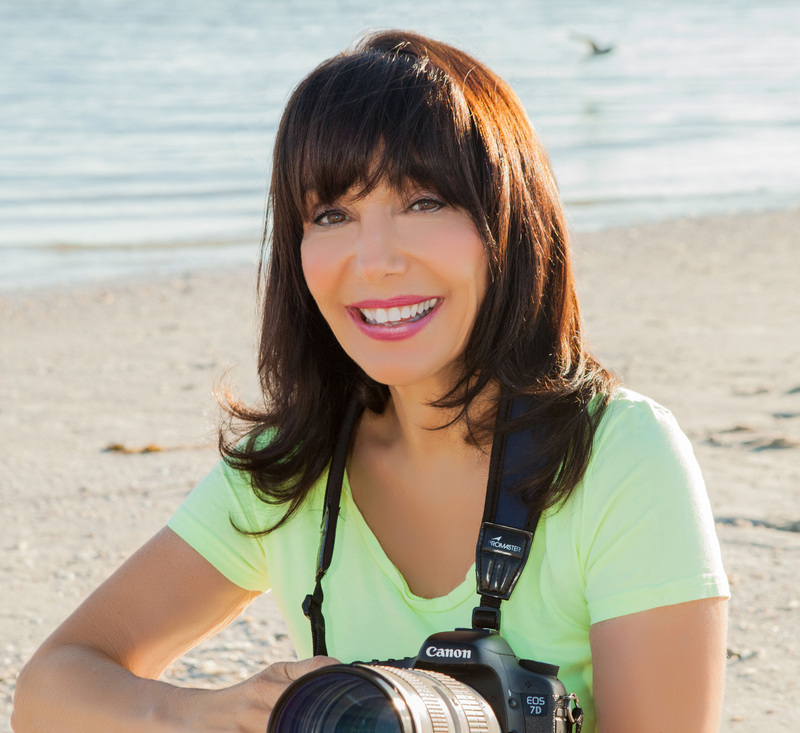 Feedback from the Naples tourism industry has been exuberant, and the author-publisher already has plans for other regional Kids’ Guide books. The guide begins with a colorful burst of images tied to interesting facts about some of the area’s hallmark critters and plant life. Then we are off on a romp that samples fun at the beaches (all five of them) and continues with an exploration of places that make nature education and preservation fun: the Conservancy, the Naples Zoo, and the Shy Wolf Sanctuary among them. Everywhere, the text offers a child-friendly voice with good natured wit. Ms. Bartlett bills herself as the “Adventurer in Chief,” and no child, parent, or grandparent will deny the powerful appeal of her upbeat, lighthearted guidance. What else is on the kids’ tour? Well, there is the Naples Bay / Tin City area, a ride on the Naples Princess, the shops on Fifth Avenue South (with a lingering glance at Regina’s Ice Cream Pavilion), the dog-friendly Third Street Shops, the various city and county parks, the Naples Depot Museum, the Naples Botanical Gardens, the Galisano Children’s Museum, the Florida Sports Park, and many other close-in destinations. Then the book opens to a wider view, introducing highlights in and near Immokalee, including the Corkscrew Swamp Sanctuary and the Roberts Ranch. Ms. Bartlett teases her readers with fascinating bits of Native American history along the way. Marco Island receives attention for its shelling and other beaches, along with tempting descriptions of parasailing, helicopter trips, and waverunner fun. Readers younger and older are invited to visit Keewaydin Island and Cape Romano. Look out for the gopher tortoises and spiny tail iguanas. Don’t miss the Rookery Bay National Estuarine Research Reserve and the triangular fish that “looks like a bat with warts, with lipstick-colored lips.” Go on a fishing trip. Visit Mackle Park. Then get ready for the Everglades. Airboats on the river of grass, alligators, manatees, Seminole and Miccosukee Indians, hammocks you don’t sleep in, Billie Swamp Safari, Skunk Ape Headquarters, Everglades City and its historical museum, Big Cypress National Preserve, Collier Seminole State Park, Clyde Butscher’s gallery, and countless varieties of beautiful birds – is there no end to this place for family’s to enjoy while they learn?